Goodness, but sisters are a thing to fear. Court intriguers are beginning to sense that young King Louis XV, after seven years of marriage, is tiring of his Polish wife. The race is on to find a mistress for the royal bed as various factions put their best feet—and women—forward. The King’s scheming ministers push sweet, naïve Louise, the eldest of the aristocratic Nesle sisters, into the arms of the King. Over the following decade, she and three of her younger sisters—ambitious Pauline; complacent Diane, and cunning Marie Anne—will conspire, betray, suffer, and triumph in a desperate fight for both love and power as each becomes the king’s favorite for a time. In the tradition of The Other Boleyn Girl, The Sisters of Versailles is a clever, intelligent, and absorbing novel that historical fiction fans will devour. Based on meticulous research on a group of women never before written about in English, Sally Christie’s stunning debut is a complex exploration of power and sisterhood—of the admiration, competition, and even hatred that can coexist within a family when the stakes are high enough. Sally Christie is the author of The Sisters of Versailles and The Rivals of Versailles. She was born in England and grew up around the world, attending eight schools in three different languages. She spent most of her career working in international development and currently lives in Toronto. Visit SallyChristieAuthor.com to find out more about Sally and the Mistresses of Versailles trilogy. 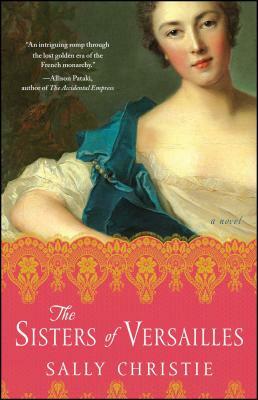 "Sally Christie's The Sisters of Versailles is an intriguing romp through Louis XV's France. Filled with lush backdrops, rich detail, and colorful characters, fans of historical fiction will enjoy this glimpse into the lost golden era of the French monarchy."